U of S professor Nazeem Muhajarine (left) and Larisa Lotoski. Lotoski has received an award from a national association recognizing her work on children's physical activity levels. (Photo credit: Kristen McEwen for the University of Saskatchewan). This work holds the potential for helping the design and development of neighbourhoods that encourage active living in all seasons in the city. 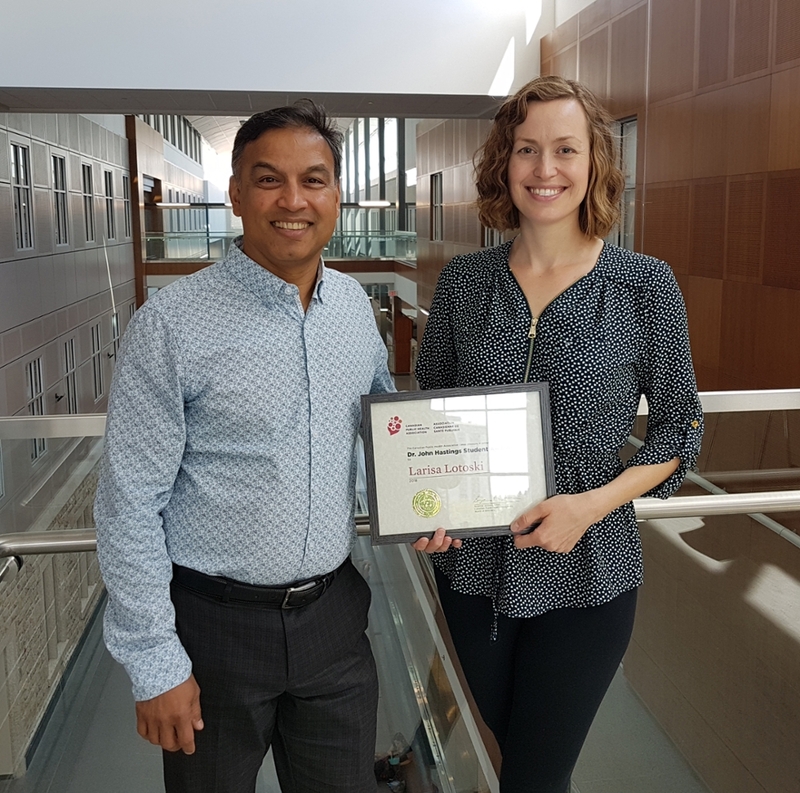 Research into why children stay inactive in different seasons throughout the year has earned University of Saskatchewan student Larisa Lotoski the 2018 Dr. John Hastings Student Award from the Canadian Public Health Association (CPHA). Lotoski, a PhD student in the U of S department of community health and epidemiology and in the Saskatchewan Population Health Evaluation and Research Unit, received the award last week at the CPHA’s annual conference. She presented her work in a three-minute presentation competition against nine other students with top-rated abstracts. Lotoski’s one-year study on almost 800 children aged nine to 14 years has shown that youth living in established Saskatoon neighbourhoods with more things to see and do were more inclined to be physically active than children living in newer neighbourhoods. Read the full story on the University of Saskatchewan website. Article re-posted on Jan 18, 2019 4:25:58 PM .